As the nation’s industry leader in EMS mobile maintenance and repair services, Medpro is proud to announce that we are now providing comprehensive preventative maintenance and repair for your hydraulic BraunAbility and Ricon brand wheelchair lifts. With over 1,200+ satisfied EMS clients throughout our 19 state coverage area, Medpro’s dedication to fast response time and unmatched technical service is the cornerstone of our business model, and the reason for our continued growth for 25+ years. With only a phone call, our friendly and highly trained technicians are dispatched to you in our fully stocked service vehicles, ready to repair and maintain your equipment. Medpro will have you up and running fast, minimizing your downtime and lost man hours. Let our affordable flat-fee system work for you. Give us a call, and discover the Medpro difference for yourself. With unlimited repairs, warranty work, and comprehensive preventative maintenance, our level of service is unparalleled. Preventative Maintenance: TWO (2) Preventative Maintenance (PM) appointments per year (every 6 months) for each wheelchair lift, with an additional PM after every repair to ensure no other components are affected. We prevent breakdowns and client accidents before they happen. Time Stamped Service Reports: Highly-detailed electronic documentation of every maintenance and repair visit provides you with indisputable evidence of best practice of safety first, an industry must in terms of liability protection. † Excluding major national holidays and based on technician availability. †† Medpro does not cover parts and labor associated with repairs due to abuse, neglect, or misuse. Consumable parts such as stair chair seat covers, rubber grips, brakes, etc., are not covered. Ask your MEDPRO Representative for full details. Medpro is the only manufacturer certified mobile BraunAbility and Ricon wheelchair lift repair service. With over 25 years of experience repairing and maintaining lifts, our expertise is unsurpassed by any other competitor (actually, since we’re the only ones with mobile technicians, there are no competitors). Here is a handy chart showing what Medpro does that no one else will do for you. MedproLift™ is available in 19 states. 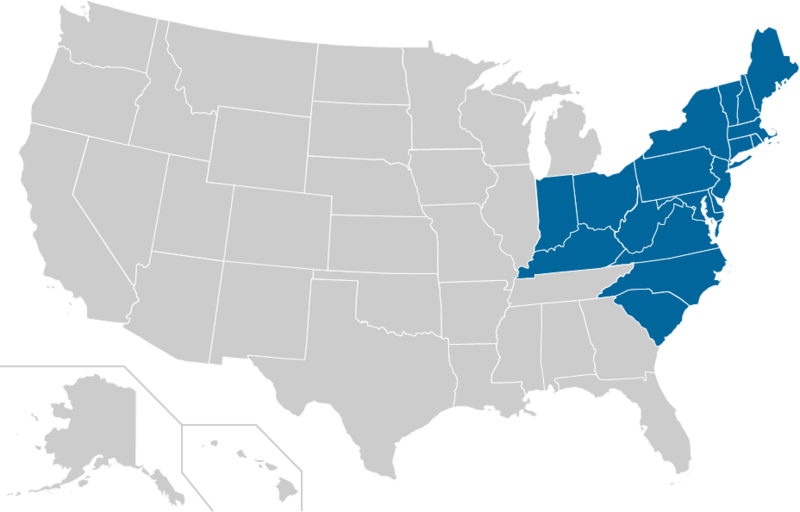 These states are Connecticut, Delaware, Indiana, Kentucky, Maine, Maryland, Massachusetts, New Hampshire, New Jersey, New York, North Carolina, South Carolina, Ohio, Pennsylvania, Rhode Island, Vermont, Virginia, West Virginia, and Washington D.C..